The Volkswagen Tiguan is a stylish SUV that’s able to provide you with both a capable and efficient drive. It runs on an exciting 2.0L TSI® 4-cylinder engine that gets up to 184 horsepower and 221 lb-ft of torque. To go with this powertrain, you’ll have a dynamic 8-speed automatic transmission with Tiptronic® and Sport Mode. This allows you to take over and customize your drive by letting you manually control the gear shifts without a clutch. When you’re not using Tiptronic®, the transmission provides you with precise, efficient gear shifting. It also helps you get up to an EPA-estimated 22 MPG city and 29 MPG[i] highway. You can also count on a stable performance on any terrain. The available 4MOTION® all-wheel drive can transfer torque between the front and rear axles. Plus, its Active Control feature lets you adjust the drivetrain among modes like On-Road, Snow, and Off-Road. The interior of the VW Tiguan is just as versatile as the drivetrain. There’s two standard rows of seats with room for five people. A third row is available to make space for up to seven. Inside the two-row model, you’ll have 123.9 cubic feet of passenger space. Behind the second-row seats you’ll have a large trunk with 37.6 cubic feet of cargo room. You can easily make more space though with the 40/20/40-split folding seats. With the second-row folded down you’ll have up to 73.5 cubic feet of cargo room. 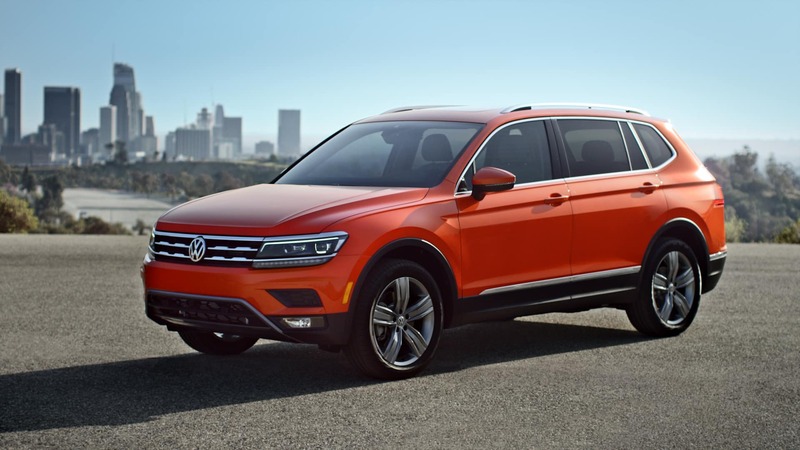 To customize the VW Tiguan, select one of the several trim levels. The Volkswagen Tiguan uses technology and a strong safety cage to keep you safe before, during, and even after an accident. It starts with crumple zones built in to redirect energy if a collision occurs. Inside, you can rely on an advanced airbag system that features front and side airbags plus Side Curtain Protection® that covers both the front and rear seats. You can also be confident that your smaller passengers are strapped in securely with Lower Anchors and Tethers for Children (LATCH). The VW Tiguan can even help you out after an accident. 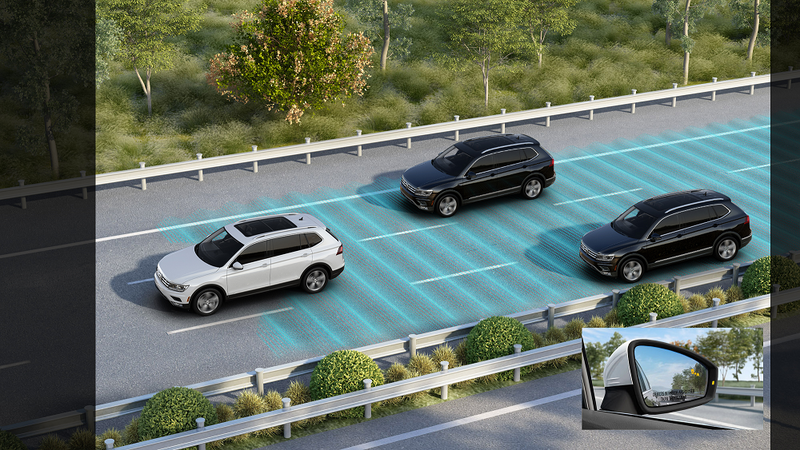 The Intelligent Crash Response System can automatically turn off your fuel pump, unlock the doors, and even activate your SUV’s hazard lights for you. Visit Toms River Volkswagen to test drive the Volkswagen Tiguan. It provides drivers in Toms River, Brick, and Freehold with lots of convenient space and safety features in an efficient SUV. To learn more about this midsize SUV, contact us or visit our dealership. [i] 22 city/29 highway mpg (2019 Tiguan 2.0L, 8-speed automatic transmission). EPA estimates. Your mileage will vary and depends on several factors, including your driving habits and vehicle condition.